We are two Russian scientists – Victoria Popova, Dr. Sc. Ph.D., professor and Lidia Andrianova, Ph.D.
Dr. Victoria Popova has over 100 scientific publications and 14 patents. She is the best inventor of NCC HS. Dr. Lidia Andrianova has over 50 scientific publications and 4 patents. The dissertations of both of us were based on research of the Barkhausen effect and its application for nondestructive testing and evaluation of ferromagnetic materials. Later we understood that just the Barkhausen effect can explain the mechanism of global cataclysms beginning. All information contained in this website has been obtained through the channeling. It all started in a distant 1985 with the channeling Information that the ozone layer depletion is not the result of human activity, but is associated with the Earth planet development. This Information constantly came more often and often, until 1990. In 1990 the Information required to transfer it to people of high positions in order to change situation. Under its strong pressure we wrote letters to Mikhail Gorbachev the President of USSR and Bill Clinton the President of USA. But nothing changed. 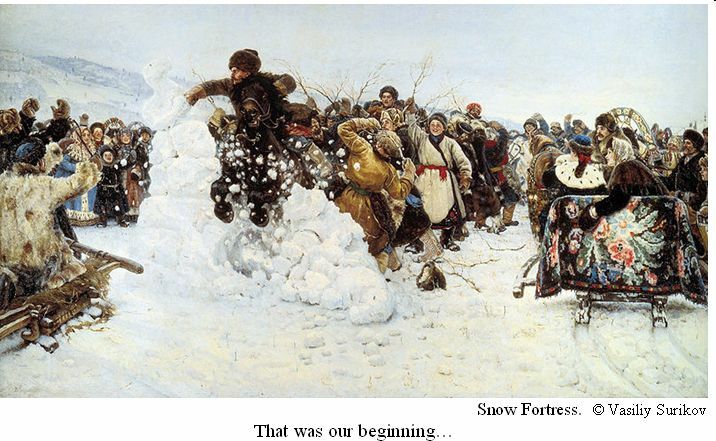 Through channeling we were instructed to move immediately from Russia to USA in spite the fact that our life in Russia was good – we had comfortable apartments and great jobs. Victoria was Provost of the Civil Engineering Academy, and Lidia was teaching at the Academy of Agricultural Mechanical Engineering. In 1995 having overcome all obstacles we came to New York with our families. On the western coast of North America we lived 15 years. As we understood later in the area of the western part of the North Atlantic Ocean near the Bermuda Triangle with paranormal activity a body has the weakest influence on mind. That’s why for clear understanding channeling Information we were transferred to this region. In 2008 according to channeling request we returned back to Russia and prolong receiving information in this country. So, in USA we received the educational information about consciousness and now in Russia we receive last instructions for the Transition on the eve of global cataclysms events. Immediately upon arrival to the United States Victoria began receiving information through channeling daily and we have plunged into day-and-night continuous work. At first the Information has been received at night from 11 pm till 3 am. During the day we have to understand received Information, process, print it and be prepared to receive the new one. What does channeling mean? Channeling is like your thinking about something. But the difference is that you never know anything about this Information before. The interesting thing is that nobody around understand that you are receiving the Information. 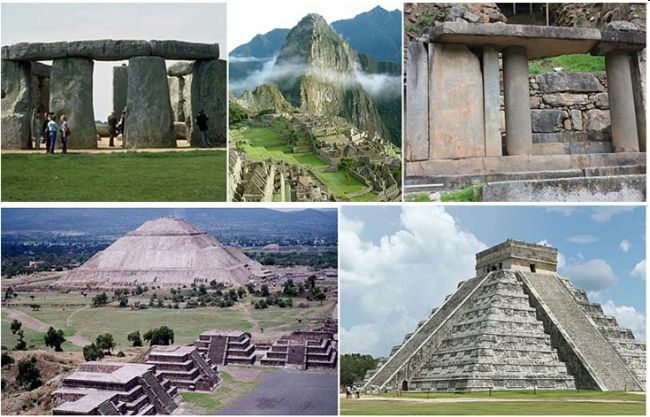 The demonstration of ETC channeling process is clearly represented in the complex Chichen-Itza by acoustic effect known as «the stone telephone». Two persons divided by distance in 150 meters one – in Northern temple, and another — in Southern, could talk absolutely easy with each other, without straining a voice! Moreover, nobody else, (if only he didn't stand near) couldn't hear their conversation. why galaxies run away and much more. Also we were informed that two groups of planets in solar system – terrestrial and gas are planets of the past, present and future of consciousness development. Sometimes we could not understand the Information transmitted through channeling and on all our questions answered many famous people. 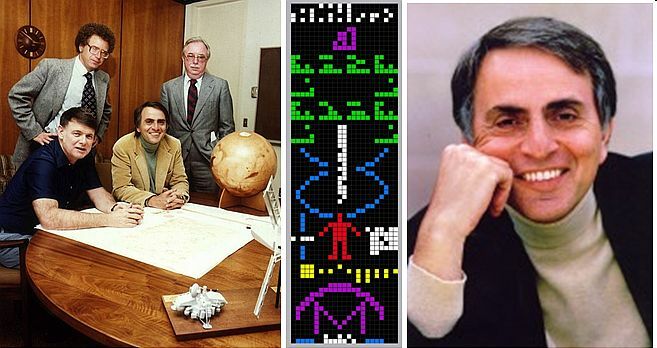 Among them – renowned American astronomer Carl Sagan honored to participate in coding the Arecibo message from civilization of Earth. We also met with Nobel laureates, Senators and Congressmen of USA, scientists of NASA; the Director of the Earth Institute at Columbia University. On our questions answered outstanding priests, rabbis and other famous people. It was absolutely impossible to meet with these super-busy people by usual measures, but for us it was very easy and when we met with them face to face it seemed that these people expected us. The stage of training ended by presentations of reports about mechanism of consciousness work at international congresses in the US and France, as well as writing 3-volume book «Our Transition into Parallel Worlds» («Наш Переход в параллельные миры») about 1200 pages. Our book «Our Transition into Parallel Worlds», based on channeling information was published in Russia in a very brief version and became a bestseller. 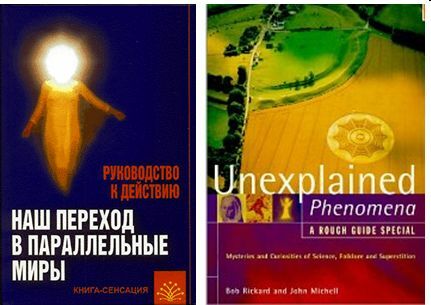 At the International exhibition «BookExpo» in New York the Rough Guides presented us the book «Unexplained Phenomena» with a beautiful Lucy Pringle's crop circle on the cover. So, we began to study the phenomenon of crop circles. In 2005, after 10 years of studying information about consciousness, through channeling we received two keys – analogue and digital for decoding of ETC pictograms. At first we discovered a digital code of ETC pictograms and started to decode the Nazca Lines but we could not understand them completely. A year later, through channeling was given the main code – analog – an individual information cell. Thus, we received the complete set for decoding any ETC pictograms. So, we began to decode crop circles, and then other ETC pictograms scattered around the world. 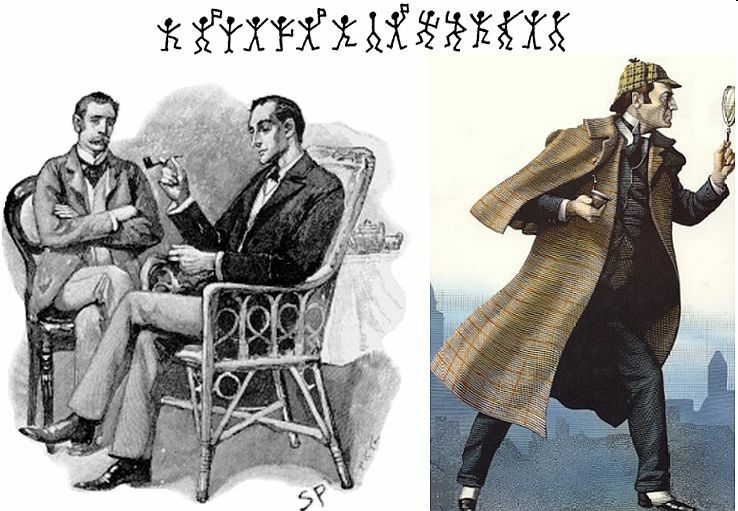 Decoding of pictograms began very hard. Sometimes, the understanding of a symbol was equivalent to a fortress capture. There remained only one symbol – dematerialization, which we recognized in crop circles, composed on the flat fields, but could not identify in stone ETC complexes in 3-D reality. It was a result of a body weakening in New York. In order to complete the dictionary and present ETC symbols in full by some unusual circumstances in 2008 we were transferred back to Russia. And only a year later, when our body has completely solidified, we suddenly realized the image of dematerialization symbol, and recognized it in almost all ETC complexes – headdress of the Sphinx, the numerous steps of the Moon and Sun pyramids and others. The process of dematerialization, i.e. disappearance from the level of Crystal structures we understood later. ETC presented it by suddenly breaking steps leading to nowhere – sometimes into a deep breakage of 700m. 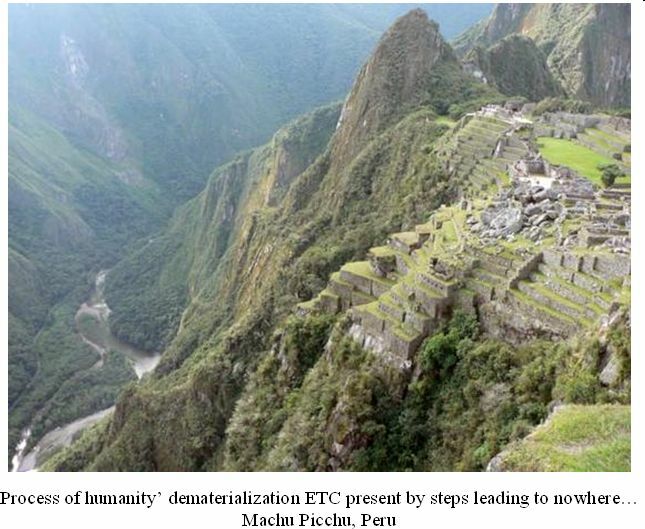 The symbol of dematerialization more often is presented in multilevel Peru’ complexes – you can see it everywhere. We made the dictionary of symbols during all these years – symbol by symbol. Each symbol we understood not easy, because it was necessary to clearly know its contents, i.e. what exactly it means in details. Sometimes, before receiving next symbol we decoded many hundreds of pictograms, studying, thereby, various combinations of already received symbols many, many times. And only after that, we were given the next symbol. Last symbol which represents a monolith of the Earth civilization united consciousness, necessary for Transition, has been given recently, in June 2011. It turned out that ETC for a long time already have been on Earth. ETC created all over the world a set of objects which form the System of Information Transmission. All objects of the SIT are classified into two groups: with the preliminary information and emergency communications. All preliminary information about consciousness and its possibilities, ETC pass through stone objects. Among them are Stonehenge, Avebury stone circles, barrow-pyramid Silbury Hill (England), a modern wonders of the world – Machu Picchu and Chichen-Itza, the Nazca Lines, Sacsayhuaman, Moray, Maras and others (Peru), moai of Easter Island (Chile), complex «pyramids Giza-Sphinx» (Egypt), the Mexican pyramids the Moon and the Sun (Mexico) and others. ETC transfer information about the program of humanity consciousness development on Earth, in solar system and in universe. Emergency information and the last instructions for continuation of life before the beginning of global cataclysms ETC transmit through crop circles. On the base of decoded information we have written 12 books. 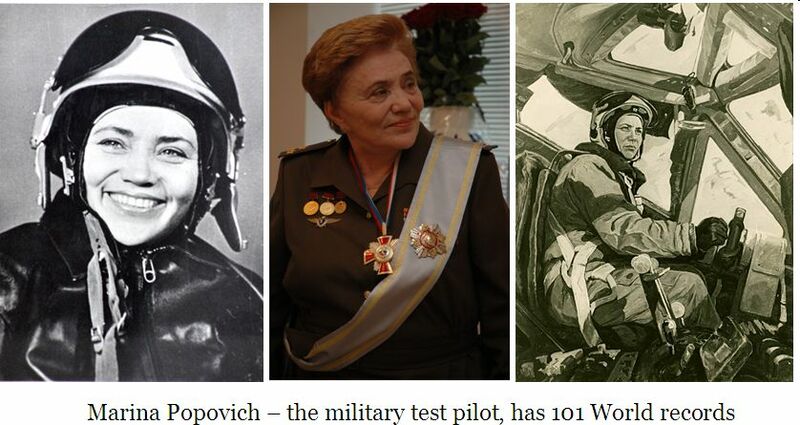 Two of our books we have published in co-authorship with Marina Popovich, legendary Soviet test pilot who holds 101 aviation world records. Marina Popovich, Ph.D. is a world known as «Miss MIG». She is in the Guinness Book of World Records. She has numerous international and national awards, and the author of many books awarded by national prizes. Marina Popovich is in close contact with many astronauts, members of the Governments and renowned people who deeply believe in existence of ETC. She proves the existence of UFOs by thousands stories of pilots and astronauts around the world who met with UFO in flights. They tell how ETC helped to get out from emergency situations. Marina Popovich is a big friend of our family. So, the first our book in co-authorship with Marina Popovich «Letters of ETC – the Last Warning» and the second book «The System of Information Transmission of Extraterrestrial Civilizations». All books are in Russian. Incredible event has happened in 2001, a few hours before September 11 attacks. It was around 0:25 a.m. Victoria was alone in the room. Suddenly she felt that the Column of the highest intensity has grown from behind. The Column did not touch her, was the width of the shoulders and from floor level went up to infinity. Through channeling Victoria received information: «Today your activity begins». Then the Column disappeared. It was very strange and not clear – what activity could begin late at night... And in the morning all world knew about terrible act of terror and the World Trade Center's collapse. So, the 9/11 event showed the apogee of humanity’ hate and separation of people of Earth civilization. But the only way to prolong our life in coming soon global cataclysms is unification of all civilization’ consciousness. So, our activity means transmitting the channeling information to humanity for understanding the danger of Earth critical situation in order to make the Transition in time. ETC through crop circles transfer messages to help our civilization to make the first Transition in the next cycle of life. So, our fields are screens of the worldwide video-congress where ETC transmit emergency messages-instructions, allowing humanity to save life. Our future depends on our action! Knowing the analog and digital codes and reading ETC messages humanity will understand their warning about the beginning of global cataclysms. Through ETC instructions Earth civilization has a chance to continue life.